For the last several weeks my spirit has been in a bit of turmoil. Dear, wonderful, amazing friends of ours (and many) were suddenly faced with some frightening news about their 5-year-old daughter. Their daughter is only a few weeks younger than my second-born. As news of some of the loss of physical ability came trickling in, I was truly saddened for the family and all that it would mean for them going forward. I could not help but look at my own wily, stubborn, highly-active little girl and think, "what if that happened to us?" In that moment all the crazy day-to-day stuff that we moms go through paled significantly. I'm talking about the blankies in the toilet, poop on the rug, "she slapped me, mom" kind of stuff that we mothers face day in and day out. After awhile, it can really wear you down. Pretty soon all of it balls up and becomes this really big sigh that we collectively breathe out at the end of the day (or if you're like me, all throughout the day -- counting to 50 in my locked bathroom while I gain some sort of composure.) Believe me, some days are beyond "beyond." I had one recently that broke me down. But most often...it's just little petty stuff. It just really is....and especially in the light of the awful enormity of true crisis. I had the amazing opportunity to be able to fly over and visit our friends and lend a helping hand one weekend recently. Besides their 5-year-old, they have an 9-year-old daughter and a 6-month old son. So, as you can imagine, they already have a lot going on. Throw in the unexpected wrench of suddenly needing to assist their 5-year-old, Mercy, to do everything from getting dressed, to going to the bathroom, to getting her food, you can imagine how much there is to get done in a day. I had the joy of being able to help assist sweet Mercy while I was there and as as I helped walk her through these things it was like a projector in my mind played back scenes of my frustration with my own children. As Mercy stood so patiently with her little hands on my shoulders for support and I helped put her pants on, I flashed back to being impatient with my own 5-year-old for putting on her pants on backwards when we were in a hurry. I should have just laughed and helped her fix it. As I helped Mercy get situated on her little indoor trampoline for some much-enjoyed, enthusiastic bouncing time (one of the few ways she can get exercise these days), I thought about all the times I yelled at my own children for running around the house playing tag. I should have joined in and been It. As I made breakfast with older sister, Selah, we talked about life and school and everything. She asked me tell story after story. She said her favorite thing about people coming to stay with them to help was hanging out in the mornings and talking. I thought about the times I've told my 8-year-old that now was "not a good time to talk." I should have made it a good time. I guess all along what I've needed the most was a healthy dose of perspective. Now I can look back and see that mine was pretty narrow and focused. On me. On my life. On my problems. But the reality is....they really aren't problems. Not really. Annoyances? Yes. A real life crisis? Absolutely not. "If we distance ourselves long enough from real needs, we replace them with those that aren't. Pretense becomes the new real and suddenly a delay in the delivery of our new couch becomes a terrible upset. We are wise to force ourselves to keep differentiating between simple inconvenience and authentic tribulations. The more detached and self-absorbed we become, the more we mistake annoyances for agonies." 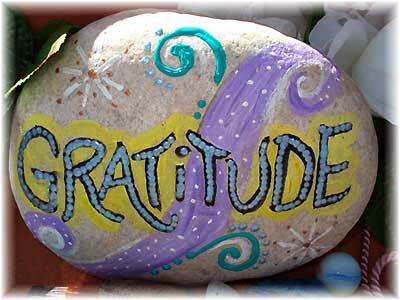 Over the days and weeks, it's morphed into my own personal mantra, "I'm choosing gratitude tonight." It's a statement I am declaring for and to myself when my perspective starts to constrict and narrow. I think about Mercy and her brave smile and happy heart and I see how far my character has yet to grow. And as I was staggering around this evening changing the sheets on our bed (after being ill, isn't it amazing having clean non-sick sheets?) so I could snuggle back in them after a nice hot shower (also amazing after being ill), I was thinking about the choice of gratitude. Why do I have to choose? Couldn't God have just made us with a "cheerful button" that He could push at will...or even better keep pushed all the time? Why is it so important for me to "choose" gratitude over complaint or frustration? I immediately thought of my own children. How happy does it make me as a mom to see one of my children make a right choice, not because I'm giving them the "mom eye", or because they don't want to get in trouble, but because it's right and they know it? Nothing could make my momma heart prouder. And I think it's the same with God. How it must make His heart happy when we make the choice to swipe the clutter of all of our own troubles off the desk of our heart and replace it with hands lifted in thankfulness. Not because He askes us to, or because He forces us to, but because we know that it's the right thing to do. So, I'm choosing gratitude tonight -- as I look around at my category F7 of a house. When mom is sick, let's just say that the family does the best it can. And sometimes the "best" doesn't involve picking up papers off the floor, sweeping up a day's worth of meals from under the table, or putting toys away. But I have a house. I have 4 beautiful, energetic children who all came in to snuggle me in my bed of sickness today. I have a husband who bravely manned the fort full of children with pent-up energy, including a rascally 5-year-old and a baby on the brink of the Terrible Twos who is in full-on destruction mode. I have it good.